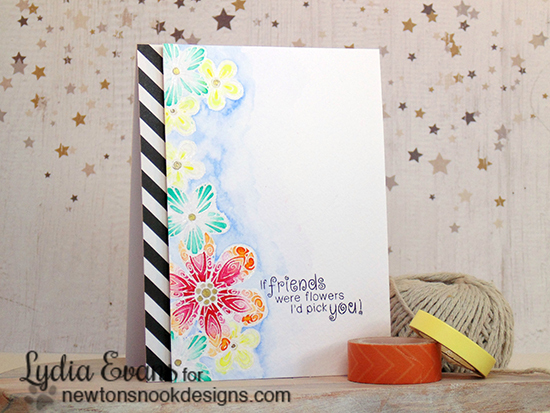 Today I'm sharing this gorgeous watercolored flower card by Lydia using our Beautiful Blossoms Stamp set. Lydia created a card similar to this one for the reveal of this set a couple of weeks ago and she had so many nice comments and questions that she decided to create another card and a video to show you how to do this technique! This is so pretty! Head over to Lydia's blog today Lydia Evans Design to see the full video. Inspired to Watercolor? There's still time to enter our Inky Paws challenge #19 - Use WATERCOLOR! There's still time! 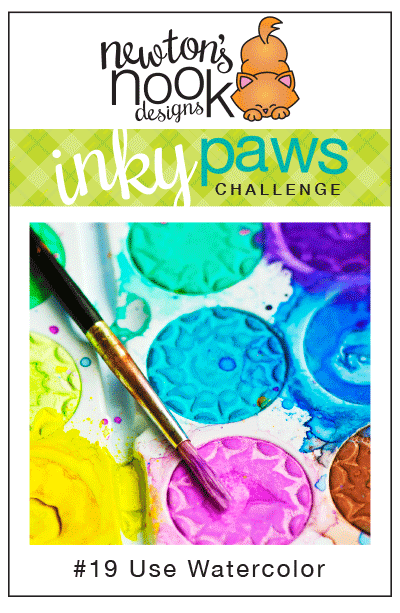 You have until Midnight CST Friday, April 10th to enter our current inky Paws Challenge. All you need to do is create a card or project with Watercolor & NND products! The watercolor can be paints, pencils, whatever you have! This is gorgeous! Love the water coloring!